This Week’s Features: The invincible plants to beat the worst weather, How to join in with this year’s Big Garden Birdwatch, Get a gorgeous winter garden. Carol Klein explains why it’s so rewarding to take root cuttings. Our Garden of the Week is a beautifully secluded garden in Sussex. Paula and Ted Batt have created a compact but glorious cottage garden in the centre of a bustling market town. 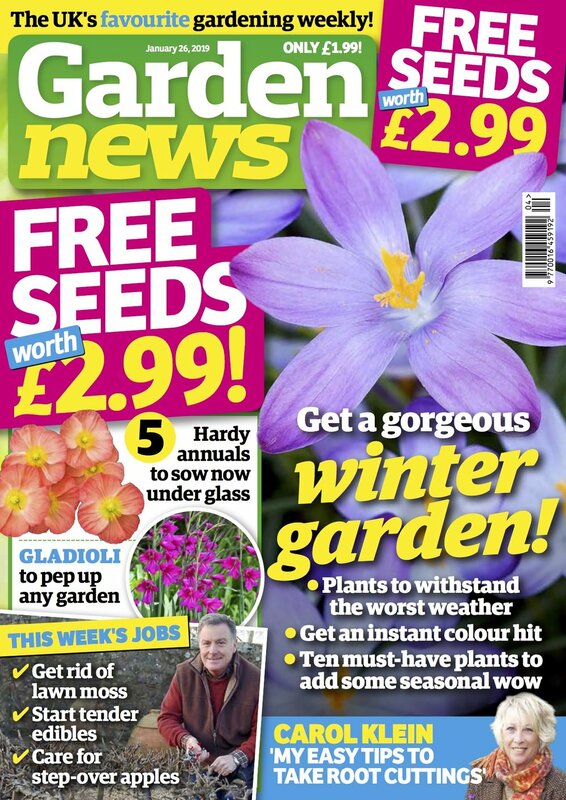 The Garden News Team are starting tender edibles, sowing blooms indoors and maintaining step-over apples. Garden News Expert Contributor: Lynne Dibley shows how you can make a miniature garden, whilst Ivor Mace reveals how to root your late-flowering chrysanth cuttings.